The soon-to-be-completed Classic Wisdom for the Modern Human Self Study Guide contains the why and how to “know thyself” for wellness. It is a collection of tools and practices for you to know yourself better so you can express your uniqueness for a lifetime of wellness and wellbeing. The ancient dictum, “know thyself” from the Oracle at Delphi is the very definition of “classic” wisdom because it is archetypal, definitive, remarkable, and judged over a period of time to be of the highest quality. Living according the dictum can help you pursue truth and thereby wellness in our modern world. I believe so strongly that dedicating more time and energy to understanding oneself is the foundation for balance and wellness in this day and age of speed and data overwhelm that I left the security of my long career as a high school teacher to create Landscapes for Learning, this online classroom where my mission is to inspire, motivate, and foster the growth of individual uniqueness and encourage individual expression through a life time of learning. I had been grappling with the increasing anxiety and unwellness among my students and observing it throughout the school’s culture, while at the same time I was helping people to grow in healthy self-realization as a Bikram yoga teacher. The principles and philosophy of Bikram’s brand of yoga seemed to be the exact antidote needed to address many of the problems pervading not only school culture but also the problems in modern American life in general. I wondered how I could possibly bring the principles and philosophy of the yoga into schools to improve wellness and promote balance, if I could not get students (and their parents and my co-workers) to visit the studio to actually practice the physical postures of the hatha series. So, I did what I love to do most, I wrote curriculum and called it the Classic Wisdom for the Modern Human Self Study Guide. 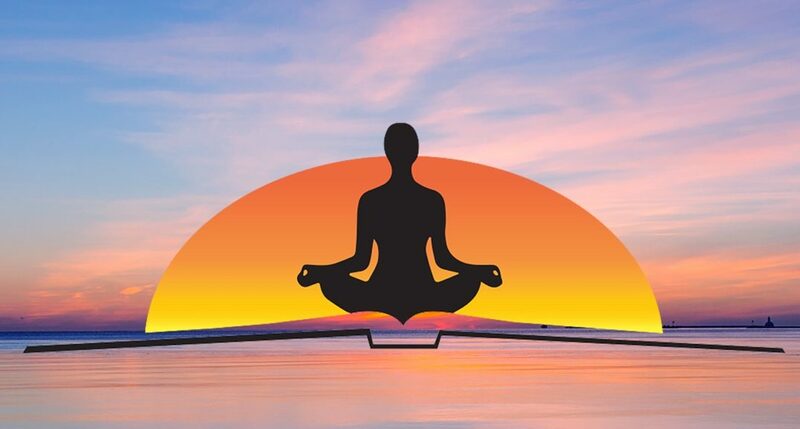 Its five central tenets (or learning units) are derived from my professional experiences teaching the Humanities and my personal Bikra yoga practice, a combination of the wisdom traditions of West and East, and are meant to help you– teens and adults– pursue optimal wellness through self study. Everyone needs to be their own best friend, parent, partner, counselor, and teacher– the person who knows you best, you can trust the most, and always has your back, no matter what. I became that person for myself by discovering the real value of following the classic advice to “know thyself” through my own deep self-study. By traveling the landscapes of my life– both inbound to my core through practicing yoga and writing and outbound across the outer landscapes of the world as a student, traveler, and teacher, I learned to express my uniqueness, to “do me,” with integrity and purpose. Becoming a better version of myself, overcoming fear and limits, and managing constant change took conscious effort and lots of trial and error, and it continues to be an ongoing journey toward wholeness. We should never stop learning, moving, or growing. I was inspired and motivated by prominent writers, podcasters, yoga enthusiasts, and many other teachers in various fields who were all both working to become whole and healthy individual human beings and promoting this same journey toward integration and wholeness through knowing oneself. I heard over and over again that many of the problems and illnesses of our modern day are due to lack of knowing who we really are and that we are disconnected from our truth. I agreed because I was witnessing this reality in my own life- my own personal experience and in my role as mother, high school teacher, teacher of teachers, and yoga teacher. I also knew that learning was the answer along with yoga and journal writing, as these were my practical, everyday tools for my own self study, growth, and wellness. I am hopeful that the almost completed Classic Wisdom for the Modern Human Self Study Guide, based on my insight gained from a deep work approach to self study, will improve your relationship with yourself (and others) as it did my own and continues to do. I am currently trying to walk the walk as I talk the talk, and this website is evidence of my own journey forward to expressing the truest me possible. As you may have noticed, there are “WORK IN PROGRESS” images on almost every page! Our work to live as our truest selves is never done! The pursuit of classic wisdom, to “know thyself,” is to be a traveler with no final destination but the means to live authentically. In other words, the landscapes of your life are for learning– forever. Unlike schooling, learning is a journey of trial and error where trying and failing is the point— it’s the meaning and purpose of your one, unique life. So you ought to expect messy, to get a little bit dirty, and be bumped around a bit as you fail forward in your effort to know yourself and find your truest expression. As we say in the Bikram yoga community, when it comes to self-realization, there is no perfect— only practice. We are all, always, a work in progress! Subscribe now to be first to receive the Classic Wisdom for the Modern Human Self Study Guide and discounts on products and services at LandscapesForLearning.com!